A young man had an asthma attack at 9:15 pm, at 9:23 pm the attack had passed, but only after he had spent 2,500 years in the spirit world. A not particularly spiritual person, rooted in the rational world, Anthony garnered an understanding of life that most of us never achieve. His vision was posted on the NDERF.org (Near Death Experiences Research Foundation) website, which contains many accounts of NDEs experienced by people of every country, language and culture. The spirit realm is thought, thought is action, thought is reality, and thoughts emanate from each being, flowing out faster than the speed of light, for any spirit to capture. 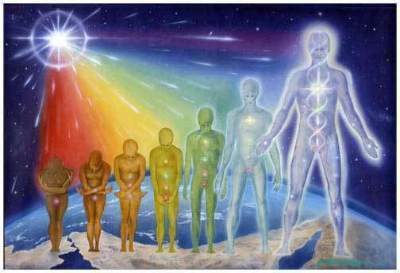 To be a spirit is to be immersed into a living data bank, full of information, from a quasi-infinite amount of planets, spiritual and physical beings, animal and vegetable, liquid and solid. All what we consider matter, in whatever form vibrates and holds its shape due to thoughts that have created it and maintains it. The Great Lords are those spirits who have traveled up the long ladder of improvement. 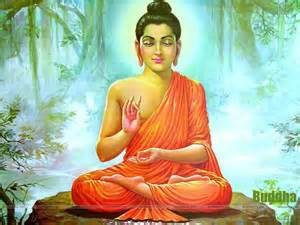 They, at one time or another have experienced each of the stages of reincarnation on different types of planets. 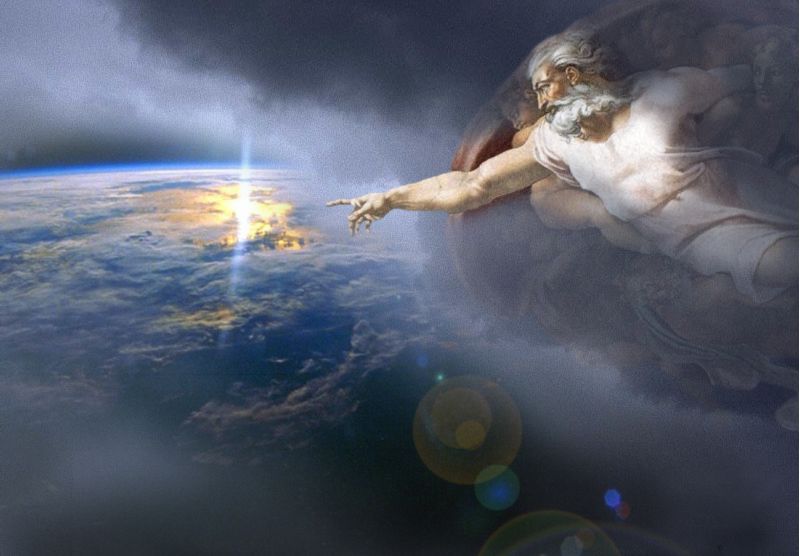 While we are only on the second stage, earth is a planet of atonement, where we pay for our past wrongs, in order to learn to follow the path of love, charity, and fraternity, the Great Lords have traversed the entire reincarnation process to become pure spirits. No longer do they need to don a physical form. The Great Lords know God in a way in which we are unable of comprehending. The work all flows down, from the Great Lords, to other Great Lords, to their ministers, to their managers, to the hands that handle the small details. When we ascend from our planet of training, we shall be the ones who set the ladders, lift the bricks up to the top floor, and mop up the remains, as we acquire our knowledge through apprenticeship. As Anthony’s near death experience unfolds, keep in mind the object of the spirit world. We are on the school of earth, learning to become productive. All NDE’s contain this basic premise. Whatever occurs, whatever variety, visions, lessons departed, all revolve around a central theme; push us to break free of our baser emotions and material attachments so we may become part of the community which manifests marvelous constructions. For a reason known only to the powers residing above us, it was determined that at this precise juncture in Anthony’s life he needed to be temporarily removed from class and given personal guidance. The “voice” was his mentor, his guardian angel, who decided, with the help of others like him, the location and method to instill in Anthony that what he required. The land Anthony was guided to was created by thought, just like our physical world, but more alive, more colors, colors that our human eyes have never seen. Hues which are indescribable to mere mortals. The description of the vividness of the colors and the natural beauty parallels other descriptions of heaven by people who have had near death experiences. 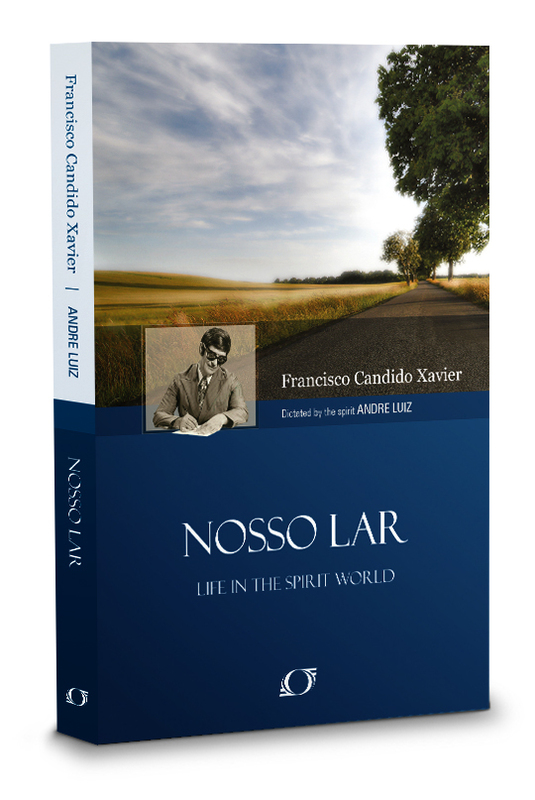 Andre’s tale comes to us via the work of the late great Spiritist Brazilian medium Francisco (Chico) Xavier, who psychographed a series of books from the spirit Andre Luiz about his life in heaven. Imagine being given those instructions. Just the phrase “every year” would sound alarm bells in anyone’s head. Anthony was instructed to construct a brick trail with building supplies that arrived at a glacial pace. As an added task, he was to plant seeds that within his time on the mountain would grow to be trees. What possible result could be the object of such an effort? Why build so slowly? Why plant seeds that would become mighty trees? “I was there for a VERY long time, in which time the voice was always present, I never felt alone and I never questioned why I was there, I was totally at peace, and feelings of absolute joy and unconditional love pervaded me the entire time. I knew that the voice was the most trustworthy person/thing in the universe. As the years passed I watched the trees grow, the flowers and grass I planted also grew, the color of the flowers weren’t of any color I have ever seen, like there was 20 different colors in the rainbow there, I couldn’t describe them as there’s just no frame of reference to what they looked like. Anthony passed years in solitude, but he never mentioned being lonely, for he had the voice of his mentor, the wonders of the results of the seeds he had planted, and the benefits of knowledge gained. Anthony was given the gift to understand that there isn’t such thing as all good or bad, but that each human and spirit is a mixture. Only as we approach God in our spiritual quest do we become pure forgiveness, pure light, pure love. 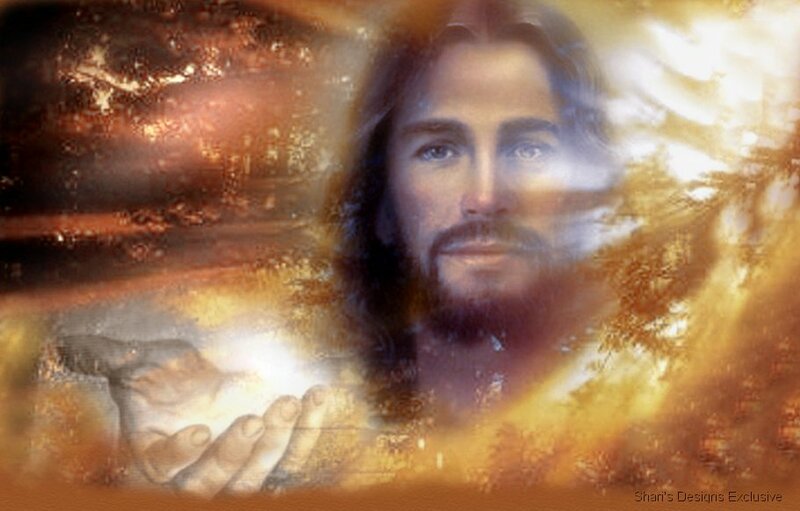 God has embedded within each one of us a conscience. It is the complete set of Divine Laws. Our minds automatically interpret our action through this filter, to alert us when we have done something wrong. This is why we have a conscience. When we reflect on an action, our conscience provides us feedback. We must listen to that advice and heed it for within us we have centuries of stored wisdom. Those that consciously perform horrible acts have not yet built up the library which explains the finer details of the Divine Laws and how they should be regarded in diverse circumstances. Or they have chosen to deliberately ignore what they know to be true in the hope that somehow they will escape the consequences. They will rationalize away their action. This avenue of denial only functions until the moment of physical death, then they realize their mistake and will have to pay for their wrongs in the next life. 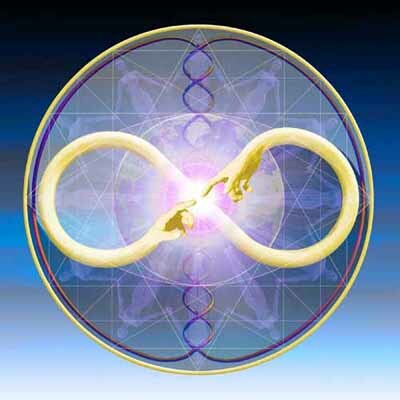 Anthony was blessed, he was granted a refresher course in the set of Divine Laws and allowed to take back with him, in his physical body, a heightened sense of justice and the conflicts that exist in others. With his awareness of the frailties of humans and their emotional turmoil which constantly swirls around each of us, he is presently able to calmly stand aside and choose the correct course of action when presented with emotional trauma. This is what the spirit world desires us to achieve. To love all with a caring passion. This doesn’t mean that we must be weak or push overs when we are wronged. Only that we implement our actions with a level head and to concentrate our energy on solving the problem. We should use indignation when confronted with a wrong, instead of anger. Anger radiates harmful emotions and thoughts in all directions, while indignation creates a beam of thought focused on helping others, even though they may feel punished. Time is a concept within our physical universe and within our own minds. We are told that time moves forward because the universe is expanding, if the universe contracts, then time would move backwards. All of us have heard of the variances in time that would be felt for a person remaining on earth, while a spaceship traveled to a faraway star and returned. Time would move slower for those on the spaceship. Time felt, is passage of time within our perception. When we are young time moves slowly, an hour is a long time and a day is an eternity. When we are older, a year seemingly passes within the space of a day. In our physical universe there is time. It was created by God’s will for a purpose. One can only speculate as to what that purpose could be. Time is the spirit world is different or as some maintain non-existent. 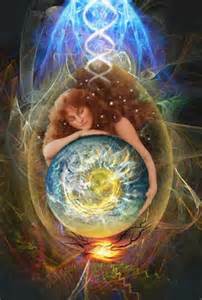 In the Spiritist literature I have read, there is a constant message that time on earth doesn’t relate to time in the spirit world. The subjective passage of time is addressed in one of the questions in The Spirits Book, it was assembled by Allan Kardec from questions posed to spirits from mediums across Europe. Only when more than two mediums received similar answers did Allan Kardec place the result in the book. 1005. Does time appear, to the suffering spirit, longer or shorter than in the earthly life? Hence, for undeveloped spirits, time passes slowly. On the other hand, those spirits who have successfully completed their trials and removed their imperfections, time is not a factor. This is why, when spirits communicate to us, placing events within time frames is difficult. The timing of an event is usually placed in relation to another event. Such as a birth or a death or a natural occurrence of some sort. Divaldo Franco is a Spiritist, he is a medium who has helped many rid themselves of serious psychological problems with spiritual guidance. Therefore, I believe he was told the joke. While not really funny, it does point out that a difference does indeed exist and that even spirits acknowledge the dichotomy. My personal belief, and I have no proof, is that instead of time in the spirit realm there are changes of states. A state is anything from just finishing one incarnation and returning to the real world with lessons learned, to constructing a house on one of the levels of heaven, to receiving a golden brick. Time to Anthony was every gold brick was one year. That concept of time is as valid as any other. The path was set, the boulder has morphed into an altar and the trees grew to ring the altar like temple columns. Anthony had created the analogy to his ascendance. A long road, filled with golden opportunities to reach a divine destination. The spirit world calls pain the “great teacher”. We travel through multiple lives so we can learn grand lessons. We can learn not to harm others, not to desire for revenge for the least slight, not to be jealous, and not to take from innocents what we lust after. In other words, we learn to follow the Golden Rule. Every time we treat our fellow-men and women in a manner we would disdain we wound not only the person who is the target, but more importantly ourselves. For each transgression, we have to pay in the present or future life. We have to experience what it felt like to be on the other side of the deed we committed. Why do bad things happen to seemingly good people? The answer lies in the past. These are not punishments inflicted upon us, but valuable teaching moments for us live through and to mold our character. I explain the trials and tribulations we must suffer in my book The Problem is the Solution – 7 Life Complications Sent to Test and Teach You. Our hardest periods are actually the medicine our soul requires in order to climb up that path of golden bricks to the temple. Each stone is the symbol of another life. Each life has its own peculiar pain and triumphs. The concept of reincarnation is not new. In the book, Jesus, Buddha, Krishna & Lao Tzu, by Richard Hooper. He compares similar passages in different combinations of four religious prophets. He, and others before him, attempt to analyze who was first to create the universal moral tenets and who borrowed what idea from whom. Whereas, Spiritists realize there are many similarities because they were sent to earth to preach the same doctrine. Each slightly affected by different cultures and times. Anthony’s anger was quite understandable, it is the same we all feel as hard times befall us. What Anthony will learn in the future is that pain serves as the concentrator, with pain we focus on what is causing it and nothing else. We are forced to come to grips with our actions. The very fact that Anthony questioned why did he have to suffer through the pain proves that Anthony, as do us all on earth, have more to learn, more trials to experience, more lives to pay for wrongs and perform useful deeds. Anthony saw a “being of perfection”, perfection didn’t arise out of nothing; perfection was molded out of clay, which had to endure firing after firing in the white-hot oven to eradicate even the hint of a blemish. To radiate pure love, one must learn pure love in all circumstances, toward all life. Andre is telling us that one full life of experiences is simply not enough. To be composed of perfect love takes efforts at succeeding in life while rich, poor, and middle class. While being powerful, powerless, and in between. To love all without reservation demands that we truly walk in the footsteps of many types of people from various backgrounds, classes, and cultures. For those who believe we only need one life to be pure, it is as if we wanted to be the president of a large company without ever working any other job. Of course we must start in the mail room and work our way up in various positions to fully comprehend how things get done and how to survive within the culture of the organization. No matter how pious we could have started out as a new spirit, we would still need the required know-how to gain our elevation. Only through rigorous trials do we have the right mixture of beliefs and knowledge to reincarnate with good prospects of success and to serve as valued worker in the spirit realm. When the balance of experience is lacking, we are less able to control the process of reincarnation and control ourselves in a physical form. Hence, the problems we may have at times with periods of depression, caused by the inability to stabilize ourselves, because we lack the required combination of experiences to be able to mold our thoughts in the correct manner for all situations. This frustration of controlling ourselves and trying to learn how to cope with life is familiar to any teenager. We did not know that this is a multiple-lives-long task. Be content, even later in life as we live within the ups and downs, we are gaining valuable training, which will carry over to the next life in subtle ways. If you would like to learn more about predestination and how we are part of the planning for our next life, read my book The Case for Reincarnation – Your Path to Perfection. Anthony’s spirit mentor didn’t let him return without knowing that he would revisit to the land he created. The landscape that he built with his own two hands. Unlike the earth and the physical universe, what Anthony fashioned would remain for all eternity. No sun would eventually burn out to leave his garden and alter in darkness. The thought creation would remain forever. A symbol of the reward awaiting Anthony when he shed his physical body after his trials during his life on earth. Anthony had the opportunity to create his own place in heaven, a paradise of his own making. He felt what it would be like when other spirits warmed his path and gardens with their love and light. He now had a goal in life. There are several important points to consider in what Anthony relates. First, he regards himself as a “rational, down to earth, practical person”, this is just how he should feel. Spiritism rests on three pillars, science, philosophy, and religion. Spiritism is a dynamic doctrine. It has three aspects that work together to provide the scaffolding which encompass the ever-growing pool of knowledge. First is philosophy. The Spirits’ Book laid the foundation for the relationship between the spirit world and the physical world. The eternal questions of our creation, our creator, our destiny and our soul are all covered within Spiritism. Second is science. This is the area which certainly would have the most doubters. Rightly so, for nothing has been proven to date. Modern society accepts people’s belief in God, but only as a nod to those that need it. 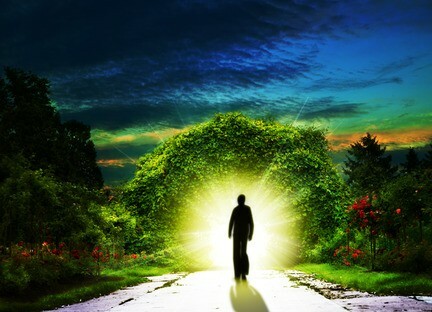 What is not in question is the ground swell of studies about Near Death Experiences (NDE) and the retention of thought after all physical brain activity has ceased. The internet now allows people to compare their stories of premonition, talking with spirits and mediums who have knowledge about personal facts which would be improbable for them to know. All of these, many of us are aware of and comfortable that there is a world beyond our senses. While others scoff as nonsense any unexplainable event, while we mark it down to one more data point that promotes our feeling that our knowledge is limited and there are many things that are still unfathomable by science. For now, Spiritism leans on the information provided by mediums throughout the world. Books, such as the ones psychographed by Chico Xavier, are continually being created, with the help of the spirit world. Books which little by little reveal more about the earth, our destiny and the complex workings of the spirit realm which looks over us. Third is religion. To be clear, Spiritism does not consider itself to be a religion. Spiritism is a Doctrine. A way of life. There are no rites, no churches or temples, and no one who would function as a priest. Spiritism is present to reveal the basic facts of our existence. It is up to each individual to determine how that should affect how they would live their lives. Therefore, the fact that Anthony does not regard himself as religious is perfectly understandable, for he knows that we are immortal spirits, that we are here for a purpose, and that the spirit world is a fact and not a supposition that must be supported by blind faith. He is in fact a realist. While society at large considers the foundation of his thinking to be without merit, those of us who have eyes to see and ears to hear, to paraphrase Jesus, recognize that our culture is vainly attempting to deny what is really there. Which brings us to the second point, he has been ridiculed. When humans don’t understand something they try to deny it, then create an explanation that serves their purpose. When those of us mention our belief in the spirit world we are usually thought of slightly addlepated fools, thankfully harmless ones. We must have had a chemical reaction or a self-induced illusion, is the answer most reach for. This is all fine, for those who refuse to listen, they will eventually, in the next or the life after that, come to understand that we on earth are part of a grand plan. A project, encompassing millions of students, who are herded and guided through their pre-assigned training to make the ready for the next step. Spiritism explains why we are here on this particular planet. The Doctrine of Spiritism reveals to us that we are immortal souls, who travel through a multitude of lives in a quest to become a pure spirit. That each time we incarnate on earth, we are assigned trials which pay for our past wrongs and provide us new knowledge. To learn more, read my overview of Spiritism, Spiritism 101 – The 3rd Revelation. This episode you have read above is in my book – The Spirit World Talks to Us. You can read more explanations of peoples experiences and find out what the spirit realm is trying to convey to us. If you are interested in more explanations about people’s NDE’s, read my book What Really Happens During Near Death Experiences – According to Spiritism. Franco, D. P. (unknown). Understanding Spiritual and Mental Health. unknown: unknown. Hooper, R. (2007, 2012). Jesus, Buddha, Krishna & Lao Tzu. New York: Bristol Park Books.